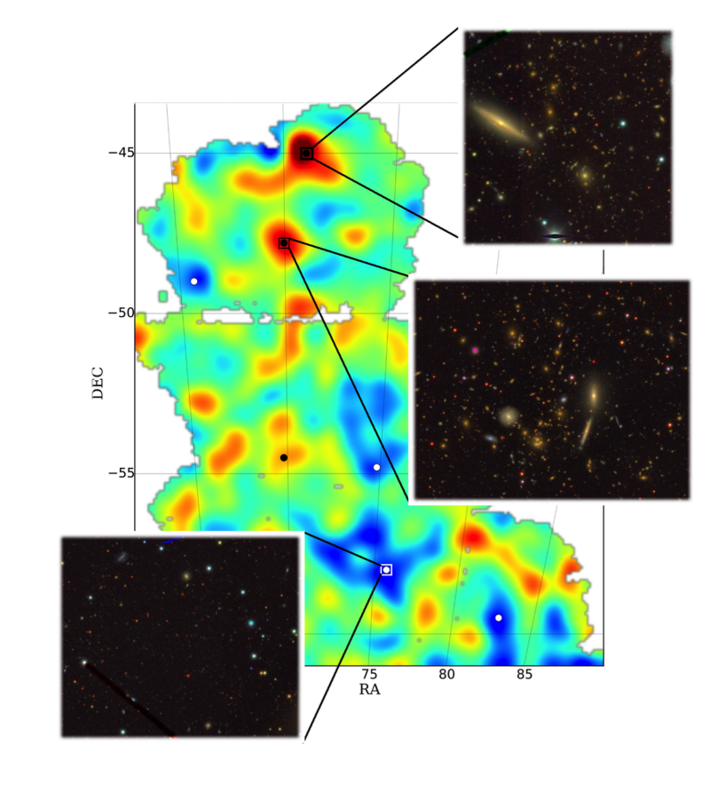 Mass map with images of two galaxy clusters and a cosmic void. Researchers from the Dark Energy Survey used data captured by the Dark Energy Camera, a 570-megapixel imaging device they say is one of the world's most powerful digital cameras, to put together the largest contiguous map of dark matter created. They presented their findings Monday at a meeting of the American Physical Society in Baltimore. The scientists say the map covers only about 3 percent of the area of sky. They hope it will improve understanding of the role dark matter plays in the creation of galaxies — and to investigate dark energy.